I like to argue that we should be holding our compensation programs – and the money they represent – to a higher standard. 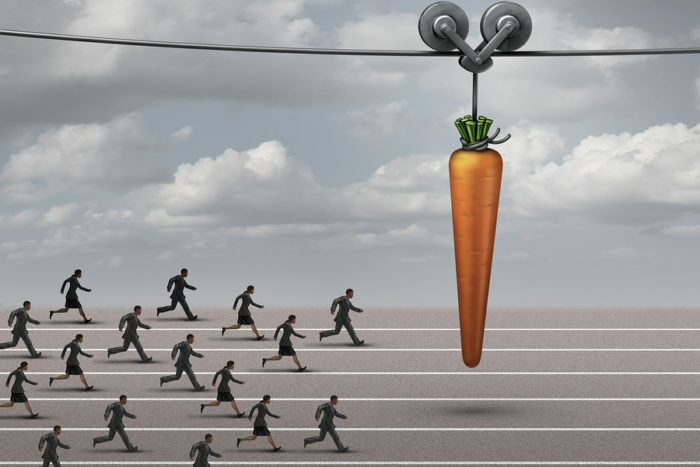 Research examining how well company strategy delivers on its potential – and where and why it fails – sheds some light on the important contributions that rewards can make. Focus: Call out top priorities. Guide: Guide employees to areas where their effort can create the most value. Create consequences: Create consequences, financial and non-financial, for success and failure. Weaken silos: Encourage teamwork and collaboration. Improve measurement: Bring attention and pressure to measurement and measures. Drive development: Drive and reward the development of skills and capabilities. Research (covering nearly 200 companies worldwide) conducted more than a decade ago by Marakon Associates and reported by Michael Mankins and Richard Steele in their 2005 Harvard Business Review article “Turning Great Strategy into Great Performance” found that the average company’s strategy delivers only 63% of its potential financial performance — the financial projections set forth in the company’s strategic plan. Clearly, a significant strategy-to-performance gap exists. What causes it? My math and Mankins’ and Steele’s findings suggest that our concerted efforts to align reward plans and practices with business strategy have the potential to reduce the strategy-to-performance gap from 37% to as low as 13%. Of course. It is unlikely that rewards alone can completely eliminate each of these roadblocks. But there is a strong case to be made that rewards – done well – can influence each and every one of them; in some cases to a strong degree. So let’s get to work making it happen! This article is republished from Compensation Force.